Ever since your daughter was a little kitten, she dreamed of becoming a beautiful ballerina. For years, she has practiced for hours every day, hoping to become skilled enough to be admitted into the prestigious Pas de Cat Dance Academy. It was difficult, since cats aren’t necessarily built to twirl around on their toes (though they’re pretty good at standing en pointe). There were long hours, and lots of bruises, and lot of sore tails from other dancers’ missteps. Some days she looked closet to giving up. But your little kitten persevered, and now her dream has finally come true: she won the lead in famous feline composer Tchai-cat-sky’s world-renowned ballet, “The Nut-cat-er.” It’s the role of a lifetime, with every ballet critic coming from miles around to watch the much-anticipated performance. If your daughter does well, she’ll be sure to have a long and impressive ballet career. If she doesn’t, well… No pressure. 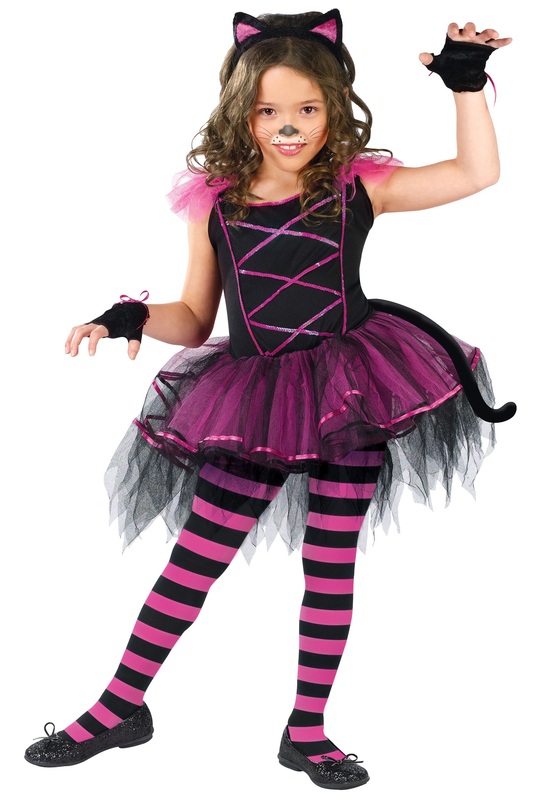 For such a fantastic debut, your kitten needs a fantastic outfit… like this Kids Caterina Tutu Costume. The pink and black pullover dress has a multi-layer tulle skirt that’s perfect for twirling, while the knit bodice has sequin trim for extra sparkle. There’s also a stuffed tail that attaches to the back of the dress, fingerless velour mitts, and a fabric-covered headband complete with kitty ears. Just pick up some black tights and black ballet flats to complete this costume.